I recently had the privilege of teaching a very smart person I know all about ServiceNow. Because they were not from a technical background, they were not familiar with the concept of a “Server” and a “Client”. If you’re reading this, perhaps you’re in a similar situation. Let’s fix that! I’m not going to bore you with definitions or technicalities. Instead, I’m going to over-simplify it to drive the point home. With every single webpage on the internet, things happen in two different places. 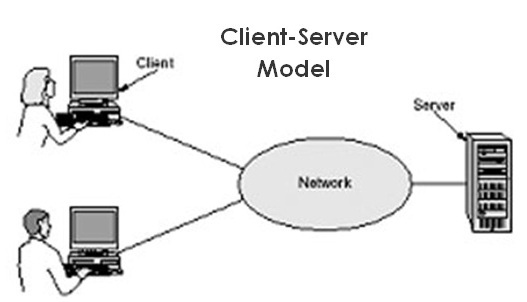 The Client, and the Server. Think about it like watching Netflix on your smart TV. You’ve heard of “streaming”, and you understand that the movie is saved somewhere on the internet that you can watch it whenever you want, right? Well, the place that stores the movie is called the Server. Ahhh…. but what about the Client?. In this example, your TV is the Client. So the place that stores the movie, the Server helps do certain things. It stores the movie on a hard drive, but it also helps remember what rating you gave the movie, what’s on your watch list, and whether you paid your monthly Netflix bill. Okay, sure, that makes sense. Good. So in ServiceNow, the server is pretty much the same things. It’s what stores (or “remembers”) all the information. It’s where the details about Incidents and Users and Problems and Locations are all stored. It stores the data, modifies the data, and retrieves the data. Server = Data Stuff. Got it. In our Netflix example, your TV was the Client. It also helps to do certain things. It lets you play the movie, pause the movie, and it shows you the five stars for you to rate your movie with. I thought you said the Server stored the ratings for the movies? It does. The Client, or TV, helps you select the rating — it shows you the stars and let’s you pick. Then the TV whispers that information to the Server, and the server is the one that remembers it. Okay… so like a waitress would take my order, but it’s the chef who prepares it. Close enough, sure. So in ServiceNow the Client is your web browser. You know, Google Chrome, Firefox, or Internet Explorer. It shows you the information that the Server whispers to it. It also let’s you click buttons, and helps hide things that you don’t need to see right away. Business Rules are on the server, because they modify the data. Client Scripts are (as the name implies) on the client, because they are about showing and hiding things. UI Policies are on the client, because they also help show and hide things. Client: “Pssst. What’s this person’s email address? Are they important?”. Oh, okay. It’s like a game of telephone. I’ll be writing more information soon about what the many types of Scripts in ServiceNow do, and where they run at — the client or the server. So stay tuned for that!